Intense 3-Season Mummy Sleeping Bag with Drawstring Shoulder Stuff Bag | BUDK.com - Knives & Swords At The Lowest Prices! 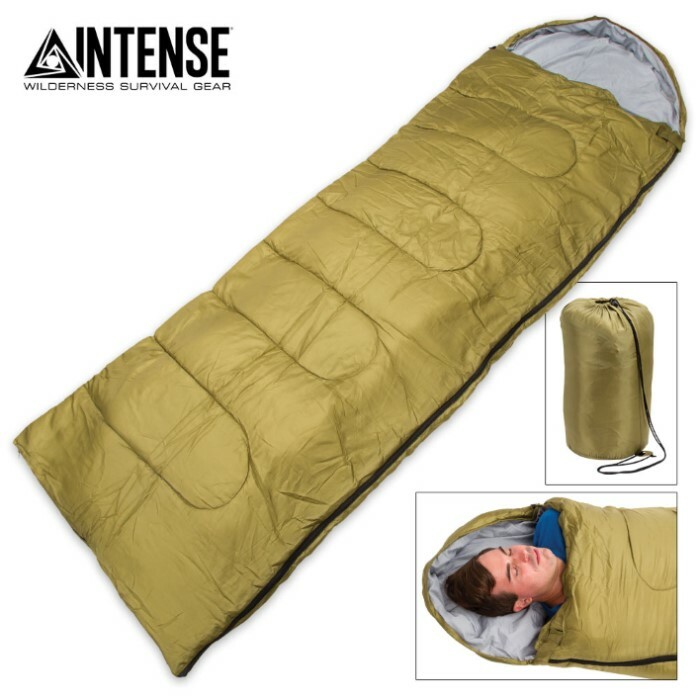 Made of advanced, weather resistant materials, the Intense 3-Season Sleeping Bag provides warmth and comfort in even the harshest environments. It's perfect for spring, summer, fall or even winter in milder climates, with a temperature rating of 41 degrees Fahrenheit. Spacious yet easy to pack, this versatile bag comfortably sleeps a single individual up to 6'6", while packing away in the included drawstring stuff bag to a compact 15" long x 7" in diameter. It's made of waterproof, rip resistant 190T polyester with plush m2 hollow fiber filling and a sturdy stainless steel zipper. There's even a drawstring head closure for head and face warmth. At just 45 oz, it won't weigh you down on the trail, and the stuff bag includes a handy shoulder sling for easy transport. For the money, this item is great value. It is warm enough to keep you comfortable and light enough to carry easily. 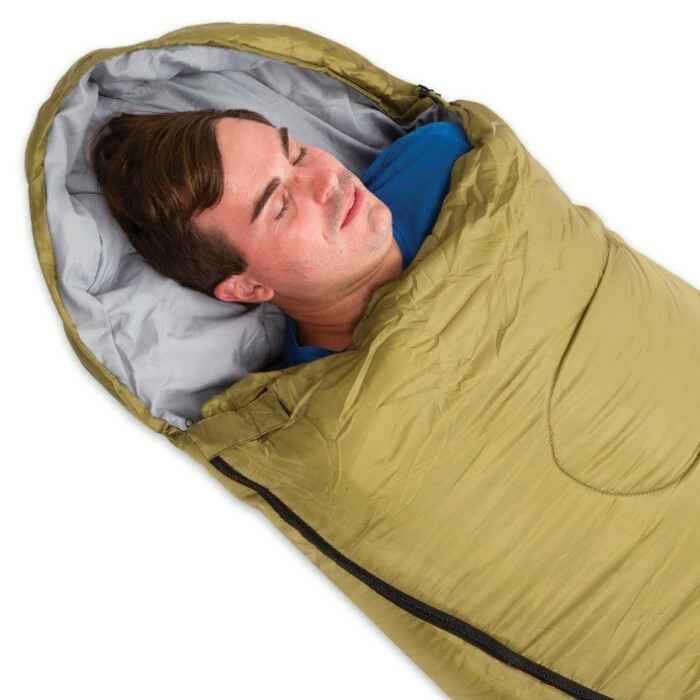 Came in and I had to take a look at this bargain sleeping bag. After looking this thing over with a skeptical eye, I must say it is perfect for what it is intended for. Tested the outer covering for WATER PROOFING and it passed the test! Zipper made of quality material.